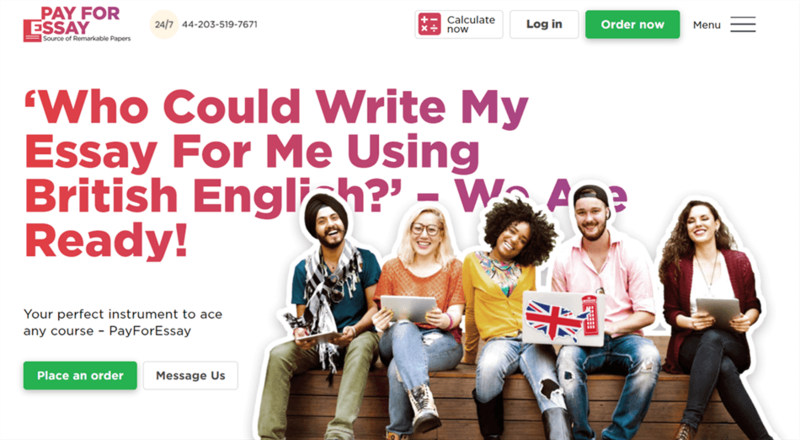 Claiming to offer one of the best essay writing services for a ‘remarkable price’, it’s easy to see why many students may choose to use Pay For Essay to have their assignments and essays completed on their behalf. However, just like all businesses, you want to make sure that you’re choosing the best service for you. Here’s the complete low-down on PayforEssay. Using the dedicated services page, or the order form on the homepage, you can see exactly what services the website offers. You can choose from standard essays and book reports to presentations and even dissertations. There are around 30 services in total but, when compared to other custom essay writing services that offer 50+ services, this can feel quite restrictive. There is no dedicated review or testimonials page on Pay for Essay which leads us to highly doubt the credibility of the website and service since we were forced to look online. Using sites like TrustPilot and review forums, we found that the service was fairly inconsistent when it came to quality. While some past customers said the service was good, others complained about a lack of proofreading and some really poor-quality essays. The divide was pretty much 50/50. You can either refer to the pricing page or use the order form on the homepage to work out an accurate quote for your essay. As a rough guideline, a standard essay, written to a Master’s degree with a five-day deadline that’s ten pages long will set you back about $269, or £205. This is easily one of the more expensive websites making it completely unsuitable for a regular service. Imagine trying to pay that once a week?! Unfortunately, there’s no dedicated contact page on the website, and the actual support details are scattered around the website itself. You’ll be able to find a US toll-free phone number in the header, and there’s also a live chat feature on every page. However, there’s no UK phone number, no email address or social media links, leading me to doubt the credibility of the website highly and may leave UK students in the dark when they need assistance. Lack of some academic services. Reviews report some cases of low quality essays received. All in all, Pay for Essay has a good model as far as custom essay writing services go, but there’s still a long way to go. Even on the fact that there’s such a lack of support option, especially for UK students, we simply can’t recommend PayforEssay as a service you should use, especially when there are much more versatile websites out there.